Do you know that 90% of online shop visitors want ask some pre-sale questions before buy the product. And they want to discuss about all features and options directly on the product page. 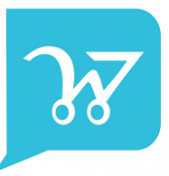 You can increase your sales with WooCommerce and WooDiscuz allowing them talk about your products and get answers on their questions. I’m writing this article for all online stores which use WooCommerce plugin on WordPress. WooCommerce is the most popular Shopping Cart for WordPress websites and it has a lot of useful plugins to extend all functions and features. In this post I’m going to write about WooDiscuz – WooCommerce Comments and Product Discussion plugin. How Product Comments can increase your sales? Yes, that’s truth! The discussion boards and comment threads always give some energy to website and webpage. When people see a discussion about some product that product earns interest of them. It calls herd instinct of people and they all become involved. Once visitor inserts a comment, he/she becomes permanent visitor of your website. He’ll always check other people and shop support activity in product comment threads. 3) Allows to ask pre-sale questions before buying the product. This is the most important aspect. Your shop visitors will thank you for that. They’ll trust the product they buy. They’ll be satisfied. No one wants to go to support page and find answers on his questions. That’s takes lots of time. They want ask all questions directly on the product page. Yea! That’s perfect! You’ll have a great FAQ under each product. This will allow visitors better understand your product features and you have not to answer to the same question dozens time on Live Chat or Support Forums.